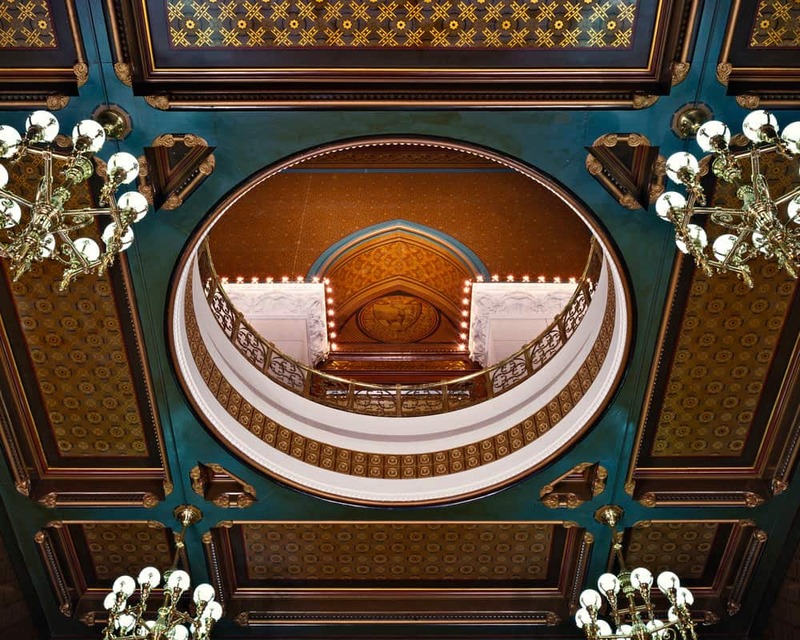 Connecticut State Capitol | John Canning & Co. 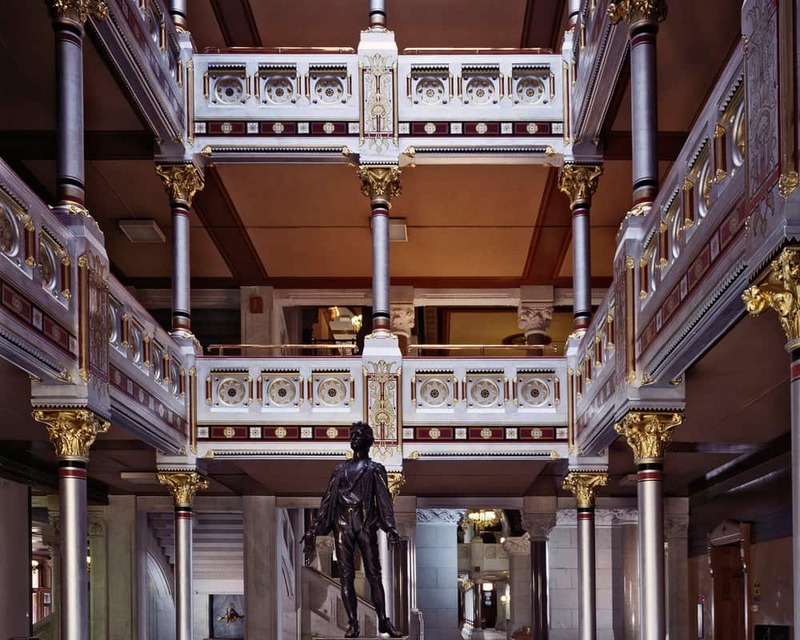 The Connecticut State Capitol project was a total restoration of the Richard Mitchell Upjohn building with an interior designed and executed by William McPherson. 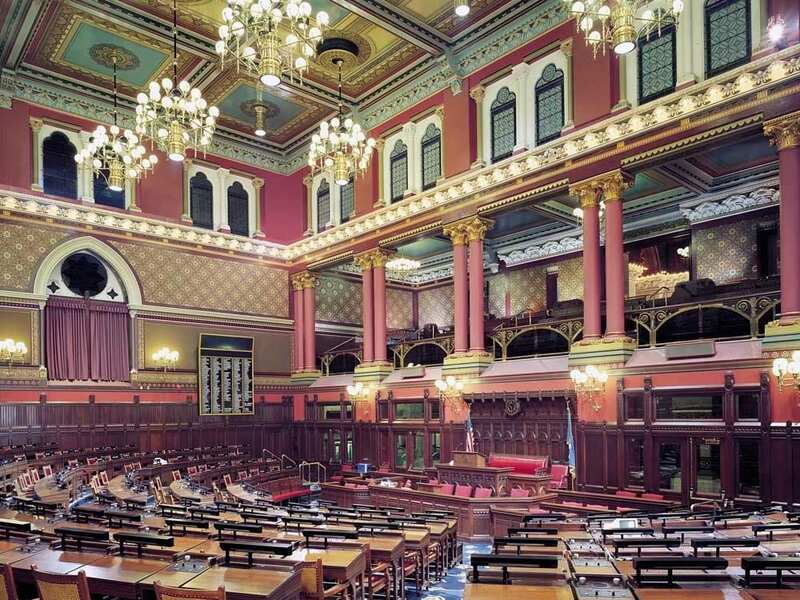 The Connecticut State Capitol has a pure design, one that is consistent and in harmony. 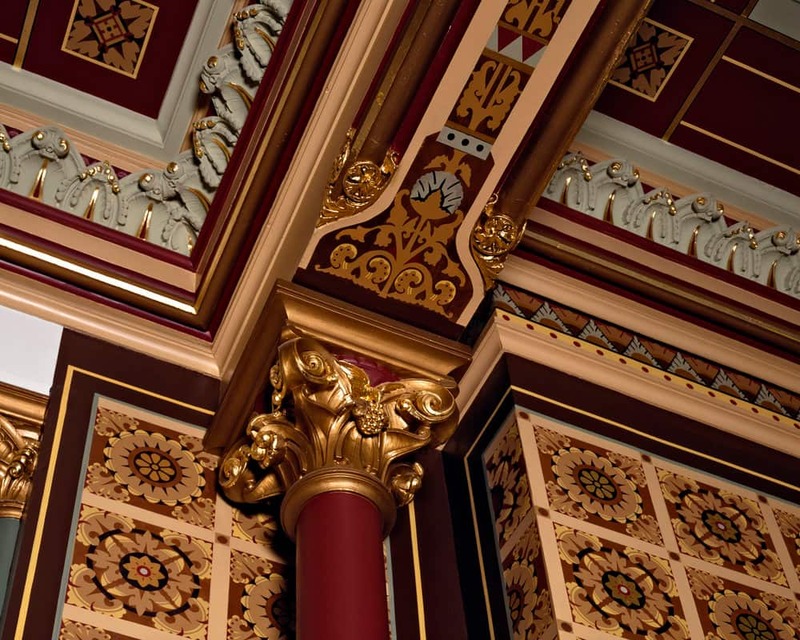 The decoration is of the Aesthetic period with two dimensional, rigidly symmetrical flowers and leaves with Mid Eastern and Japanese influence. 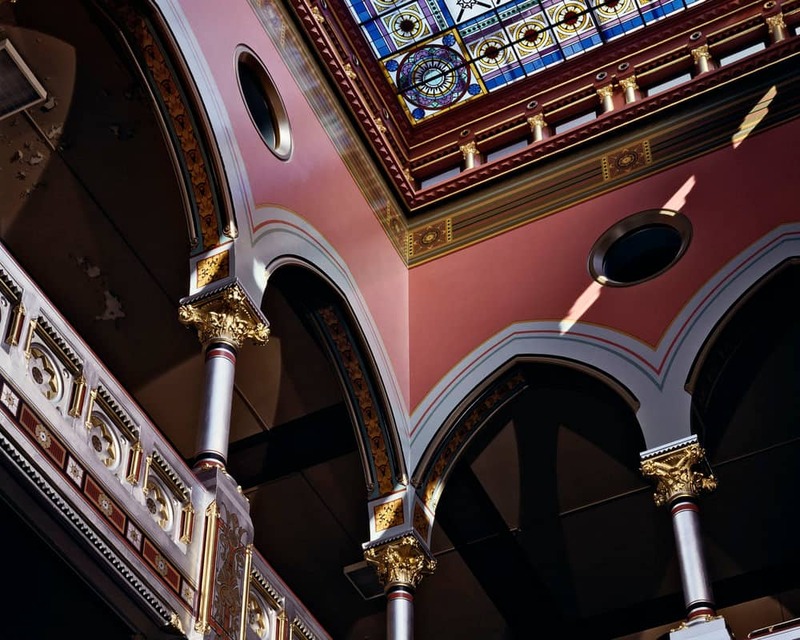 Working with the owner, historic architect, and paint conservator, windows were opened to expose original designs and color schemes. 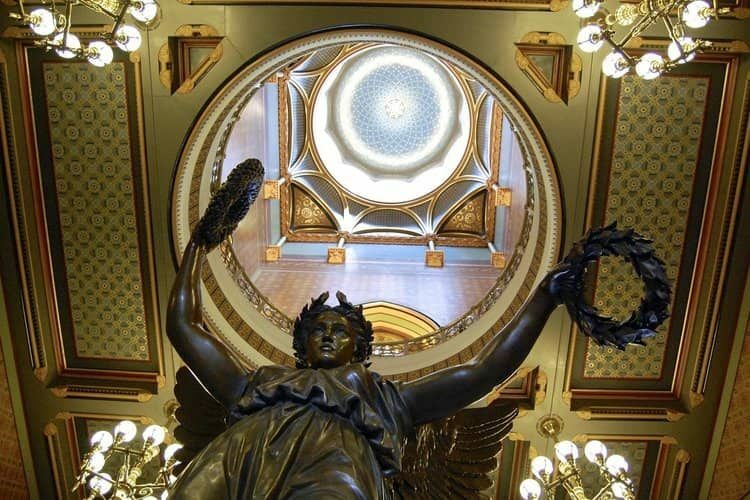 Areas restored include the House of Representatives, Senate Chambers, Hall of Flags, Judiciary room, Atriums, Dome, Statue of Genius, and Public Spaces.